The best Hand Held Speciality Pies in Scotland for 2018 is made on Kilmacolm. Category sponsored by Colin Hewitson. 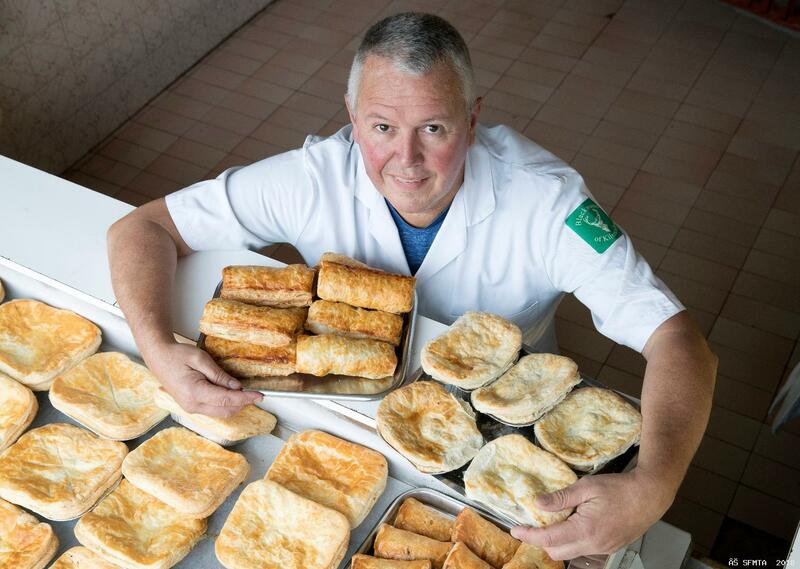 Blackwood of Kilmacolm butchers` mince and red wine onion pies have been judged the best speciality pies in Scotland! The meaty favourites have scooped a coveted Diamond Award in the Scottish Craft Butchers Savoury Pastry Products Awards 2018 - the highest possible recognition from the industry evaluator. 70 Speciality Pies entered the product evaluation held at Dewars Centre, Perth on 1 November. The judges awarded: 1 Diamond, 18 Gold, 37 Silver. Delighted owner Douglas Graham said they were "thrilled" to be judged so highly by the industry and their peers. "We hadn`t entered these awards for a few years so it`s great to do so well in our comeback," said Douglas. I develop the recipes for our pastry products so I`m really happy to see one of them judged the best of its kind in Scotland - what a great accolade." Douglas insists there is no secret to his Diamond-winning speciality pie recipe. "Just top quality ingredients and a good tasty flavour," he said. The Diamond Award for the best Hand Held Steak Pie went to Douglas Graham of Blackwood of Kilmacolm for his Mince & Red Wine Onion Pie. 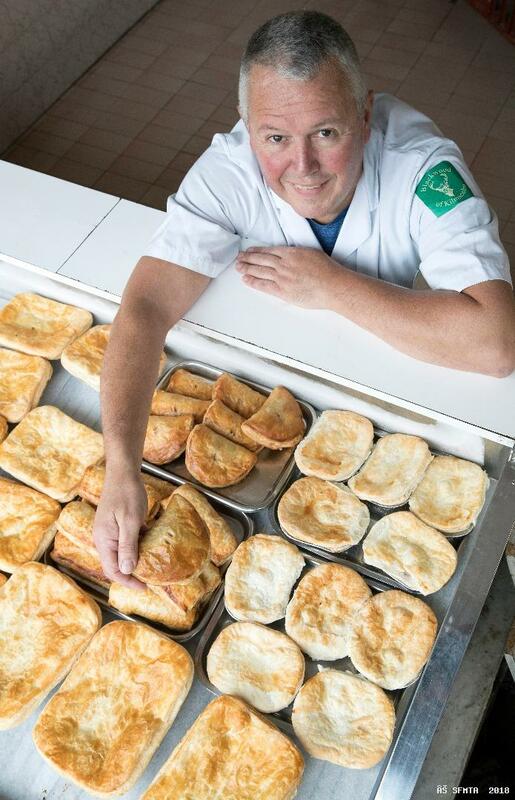 Being judged the best speciality steak pie in Scotland will turn the public focus on the local butchers and Douglas said it was credit to his entire team that they have taken top honours. And Douglas said they would undoubtedly get a lot of feedback from their customers now that they have a national winner on their shelves. Former footballer Douglas has been involved in the butchery business for over 40 years, taking over ownership of the Kilmacolm shop 22 years ago. A player with Morton and trial list for Arsenal in the 80s, Douglas is delighted to have finally secured a major title!